Starlink: Battle for Atlas Trailer | Nerd Much? 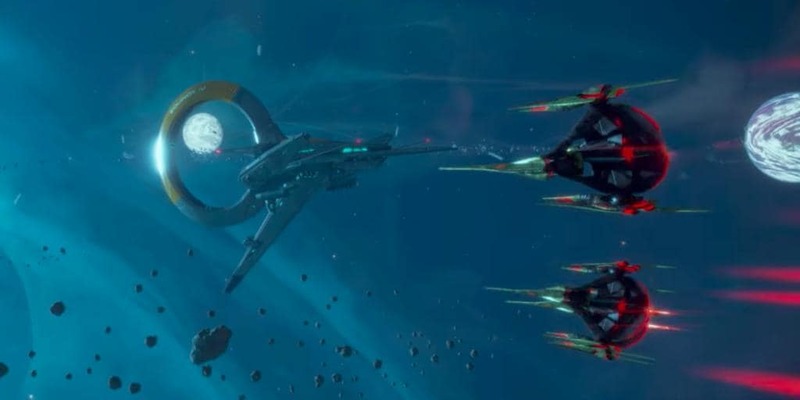 Ubisoft has unveiled their brand new game, Starlink: Battle for Atlas. The trailer reveals a game focused on battling in space with your very own customized ship against the Forgotten Legion. In a gimmick a lot like amiibo, you can use collectable starship toys and have them replicated in the game. You can take them apart and assemble them how you like, and that will be reflected in the game. There is also a custom attachment system with the Nintendo Switch’s Joy-Con grip. The story is clearly not the focus, as the trailer features mainly players battling against each other and flying through space, from canyons, astroid belts, to open space. Large flora and fauna, much like No Man’s Sky, are included as well, implying that there a plenty of planets to explore. This game definitely looks like a blast from the past, and aimed at a much younger audience than was watching the Ubisoft conference today. My guess is the company wants to aim for 8 year olds and up. Starlink: Battle for Atlas will be coming fall 2018 on the PS4, Nintendo Switch, and Xbox One.